” Then he made the disciples get into the boat and precede him to the other side, while he dismissed the crowds. During the fourth watch of the night,* he came toward them, walking on the sea. A lot of the spiritual life is about being led out into the deep. I was thinking about St. Peter walking out on the waves as I prayed my Rosary Sunday evening. I was thinking about it because I lack the courage to step out of the boat a lot of the time. To be led deeper into God, towards God. It takes great courage. It is something that a lot of us intentionally avoid. St. Peter takes his eyes off of Jesus and starts sinking. He and I are so similar that way. We all like to be comfortable. We want to feel good in our spiritual life, but faith is not about feelings. In fact, the journey to holiness requires us to get out of the boat and serve others outside of our comfort zone. I am learning this by doing the ministries I have been called to. Being a Eucharistic Minister to the sick, was not my doing. 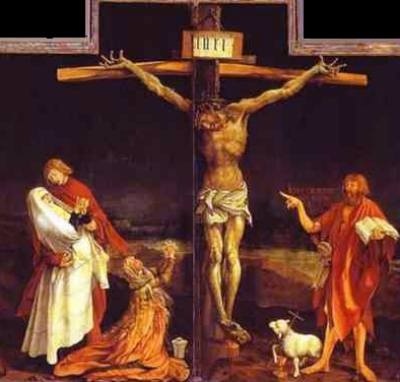 Our Lord called me there to minister to his faithful who are on, or carrying their Cross. It is deeply uncomfortable. Why? Well, I struggle with fears of death, I have to walk into strangers’ rooms where they are suffering greatly (haven’t done that since 9-11), I am a deeply empathetic person, so it is really hard for me to see people suffering. Even with my struggles, He blesses me as I bring Him to those in need. In doing this ministry I am serving “the least of these” in His name. I am actually walking into the deep. I am also teaching junior high religious education this year. Teaching is a gift God has given me. I have taught for years. It just happens that I believe junior high is the hardest age group to teach. It is a difficult time. I hated junior high. It is an awkward time period. I really like my students. They don’t know it, but I offer up Masses, Rosaries, and prayers for them weekly. But, more than anything, I want them to have a personal encounter with the Risen Christ. That is my prayer for them. All I can do is give them the tools, they have to choose to answer His call. Being a catechist to this age group requires great patience on my part. I can have a tendency to be too theological at times and that is not what this group needs from me. I can save that for Lay Dominicans. What they need is to see the joy that stems from the Christian life. They need to know that Our Lord loves them and is calling them to follow Him. They need to know what a gift the Church is to us. What an incredible gift we have in the Sacraments. The world does not understand us, in fact, it is hostile to Christ and His Church. It has been that way since the beginning. We need to give these kids the tools to help them live out the mission. I have had to acknowledge my own limitations. I am not these kids’ parents. It is their parents’ job to teach and raise them in the faith. Something that is sorely lacking and that is why I pray so much for them. 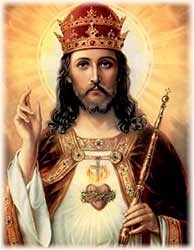 Christ the King of the Universe. Is it bad that I told our students that it is not Obama? When Christ calls us to serve, He is calling us into the deep. We are to keep our eyes on Him and trust that He will lead us. 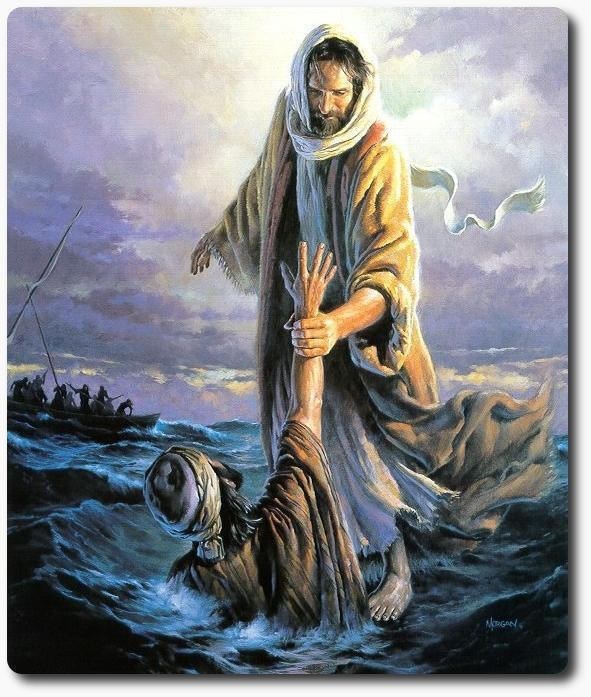 St. Peter could walk on water, until he took his eyes off of Jesus. I know it is the end of the liturgical year and we just celebrated the Feast of Christ the King of the Universe, but trust and a deeper relationship with God were on my mind. Probably because no title reminds of God’s awe-inspiring Creation, power, and authority than Christ the King of the Universe. It reminds me of how truly small I am. To be quite honest, ministry is much easier for me than deepening my spiritual life through prayer. 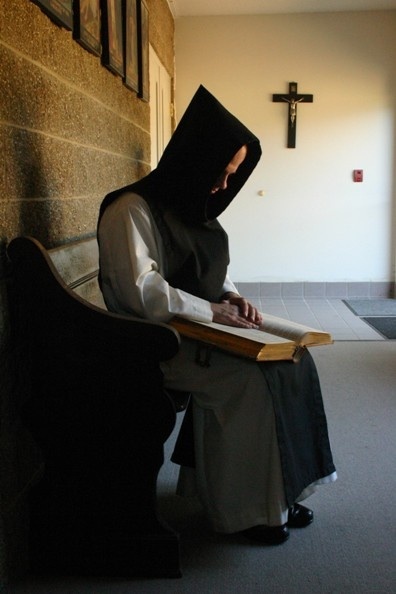 Yes, I pray Lauds and Vespers, as well as a Rosary every day as I prepare for a secondary vocation as a Lay Dominican. When I enter into deeper prayer, I get the feeling like I need to catch my breath. Like I am not ready for the deep end of the pool. I can only describe it as a sense of the Numinous that CS Lewis writes about. I get a sense of awe that is accompanied by dread. Going deeper into the heart of God is not easy. Look at the Saints. It comes with joy, but also great trial and suffering. This monk is not running from the Numinous. My tendency is to want to stay in my comfort prayer zone. I do my prayers, I read the Scripture often, I read theological books, but I tend to turn and run from anything resembling contemplative prayer. When I read the mystical prayer experiences of many of the Saints my first thought is, that is just not for me Lord. Okay, so I won’t be levitating anytime soon and that is not what I am afraid of. It is more a fear of the unknown. Part of it is the darkness of sin that I see on me, which is why I go to regular Confession. There is nothing in this life that will remind us of our sinful nature like prayer and Confession. I feel I am not worthy of a deep encounter with God. I have to get over this and be humble, but not self-pitying. Part of it is fear of the unknown, especially the Numinous. Some of it is my fear of suffering. The Crucifixion must come before the Resurrection. The great paradox of joy is that it only comes from God. It is not happiness. It is something so much deeper and more profound. I have experienced real joy only a few times in my life: during the reception of Sacraments to include my wedding day, the day my daughter was born, and the day she was Baptized. But joy only comes when we are fully open to it. It also seems to come to us once we are in our vocation, receive a Sacrament, or some other grace. That is my personal experience. In order to more fully receive joy, we must free ourselves to God’s call in our lives, including that call to follow him into the deep, and that inevitably means the Cross. There is no Resurrection without the Cross. I know this and that is why I struggle with moving forward at times. I long for God, but I allow my own fear to win out sometimes. I know the Cross is conquered, but I still have to go through my own Cross (I carry it daily) and death some day. Lived under the Communists. Became Pope. JOY. I have to wonder if that is why we distract ourselves so much these days. We do everything we can to block God out. We have TVs, computers, radios, tablets, cell phones, etc on constantly. It’s as though we do not want to hear that still small voice calling to us. It makes us uncomfortable. He requires change from us. He requires we give our all to Him. 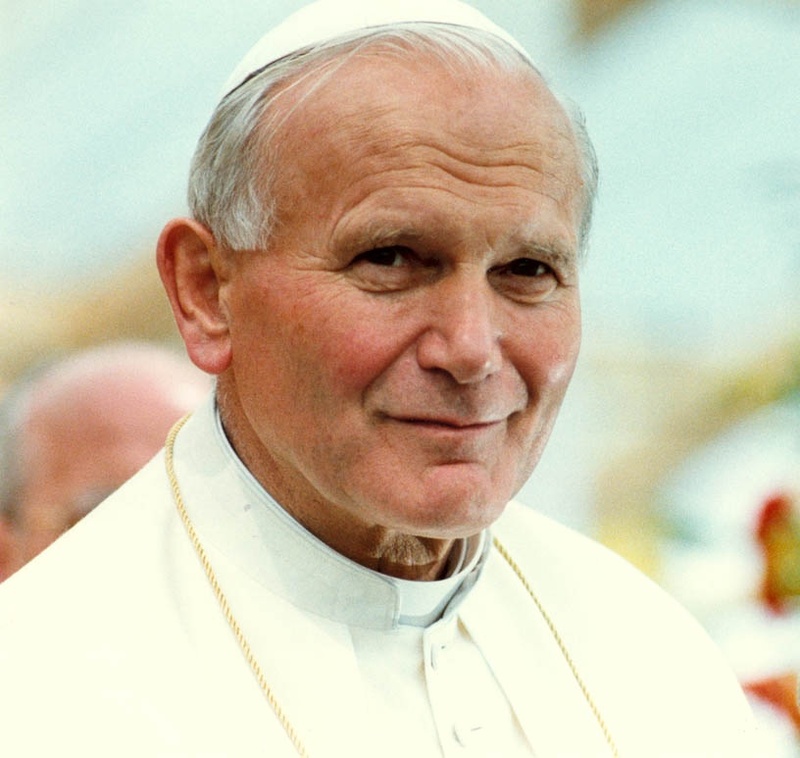 He calls us on the path to Sainthood. 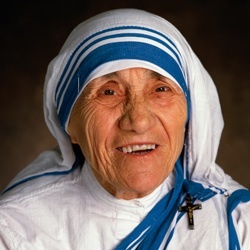 That is the meaning of life: to be a saint. How many of us stay in our comfort zones in how we serve Christ? How many of us push back against a deeper encounter with God in our prayer life? How many of us rely on good feelings rather than a genuine faith in God? Do we really want joy? Will we give up everything to attain joy? 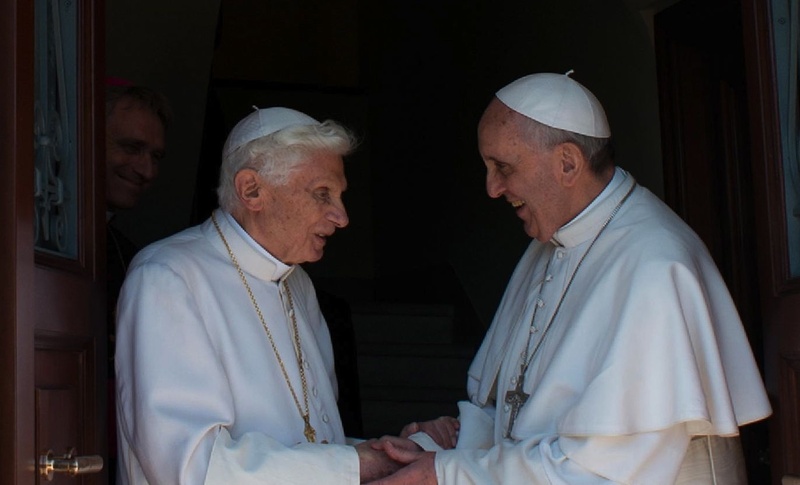 Two men who radiate Christ’s joy now. This was the Gospel this Sunday. I have the portrait by Carl Heinrich Bloch of Peter’s Denial which serves as a constant reminder of my weakness. I would like to have this portrait as well, I need lots of reminders. Can you furnish any information?